Should The CCJ Be Our Final Court of Appeal? The present concept of the Privy Council was established in the UK by the Judicial Committee Act of 1833 for the main purpose of processing final appeals from Commonwealth countries and UK dependent territories. The UK itself does not use the Privy Council as a final court of appeal in the normal civil and criminal cases, as do the commonwealth countries and dependent territories, but has its own final Court of Appeal. This arrangement for Commonwealth countries, including countries of the Caribbean, served a useful purpose. As time went on however, quite a number of countries like Australia, Canada, Sri Lanka, Malaysia and Singapore, after gaining independent status, established their own final Courts of Appeal and terminated the services of the Privy Council. Most of the independent Caribbean countries are among the last of the original group which still cling on to the apron strings of the Privy Council. It now seems that in recent times the law lords in the Privy Council are becoming extremely wary of prolonging the services of the Privy Council to Commonwealth countries. In 2009, the President of the UK Supreme Court, Lord Nicholas Phillips, was quoted in the Financial Times Newspaper as expressing grave concern about the significant amount of time which the Privy Council Law Lords utilize in tending to the appeals of Commonwealth countries. It seems inevitable therefore, that sooner rather than later, notice will be given to relevant countries that the services of the Privy Council will no longer be available as a final Court of Appeal. It would be a most shameful event if independent Caribbean countries wait until that day! It is most puzzling to try to identify the reasons which seem to deter some Caribbean countries from acceding to the Appellate Jurisdiction of the CCJ. Is it the costs of upkeeping that institution? Costs ought not to be a significant factor because an adequate Trust Fund has already been put in place to take care of the costs. In any event most Caricom countries have already signed up to the Court’s Original Jurisdiction and they have already committed themselves financially. At the same time it is most costly to process final appeals from the Caribbean at the Privy Council. Is it lack of confidence in our own judiciary? On the contrary, our own Caribbean luminaries over the years have demonstrated in no uncertain terms their competence and professionalism. We have produced several members of the Privy Council like Sir Hugh Wooding, Mr Justice Michael de la Bastide (once President of the CCJ) and Sir Dennis Byron (President of the CCJ). Moreover, the decisions and dicta of our own Caribbean judges have been continuously relied upon throughout the Commonwealth. 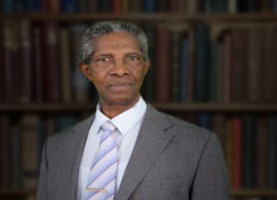 For example, the judges in the Fiji cases of Prasad (2001) and Qarase (2009) resulting from coups d’etat in that country, relied heavily on the judgment and dicta of our own President Haynes, pertaining to the doctrine of state necessity in the Maurice Bishop murder trial in 1986. Additionally, there ought to be no question as to the prospects of the judges being politically influenced as the Regional Judicial and Legal Services Commission, which appoints the judges, has been set up in a most specific way to minimize such a possibility or eradicate it completely. Is it mere inertia? Inertia is a phenomenon which indicates that a certain state of affairs will be left to continue unless some external force is introduced to influence change. With this phenomenon, a particular situation is “locked-in” which phenomenon itself is analogous to path dependence. It may only take an external force like “notice” from the UK that it is terminating the services of the Privy Council, to shake our countrymen from their slumber. The time to take action and consolidate our own Caribbean Jurisprudence is now. Judges operating in a Caribbean environment will always be in a better position than foreign based judges to deal with legal matters originating in the Caribbean in consequence of their personal experiences of the culture of the region. In the case of Grenada, the Constitution will have to be amended in accordance with section 39. This calls for passage in both Houses of Parliament with a two-thirds majority plus two-thirds majority support in a national referendum. With the Constitution being reviewed at this time, it is a good opportunity to make the necessary amendment.